Slashdot recently picked out Federated VoIP as one of the compelling features in the upcoming Fedora 19 (Schrodinger's Cat) release. The same capability was recently part of the Debian 7 (wheezy) release and it is in Ubuntu too. 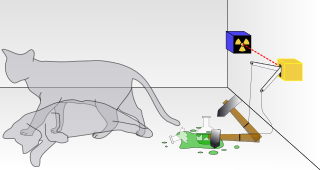 It is ironic that the debates about Federated VoIP have long mirrored the debate about Schrodinger's famous feline - is it dead, is it alive, or is it just a theory? Well, the answer is here today (for VoIP, not the cat). Clients: Each user can have a hard phone, softphone such as Jitsi or Empathy or a mobile VoIP client like Lumicall. Each of these projects has their own email support lists where users can ask any questions about getting started. Is the server difficult to set up and maintain? Setting up fully featured Asterisk or FreeSWITCH servers and keeping them secure for public Internet use is a daunting task. That's why federated VoIP with a basic SIP proxy is so compelling. It is possible to set up the SIP proxy now, get people talking, and add in a soft PBX later if optional features like queues or menus are needed. Where to next for federated VoIP? People should not be waiting for their ISP to deploy federated VoIP. Many of them are either looking for ways to monetize VoIP, or keen to keep costs low by just selling bandwidth. Rather, it will be up to power users (like those of us who run their own mail server at home), corporate IT departments and also the IT departments of universities and other large, distributed organisations to take leadership. There is huge opportunity here: by displacing the phone companies, IT departments can provide a wider range of services to their organisations. Money previously lost in contracts for phone systems can bolster the IT department as the one-stop-shop for technology, giving IT workers greater career opportunities and stability in their organisation. The organisation benefits from having a system designed and operated around their business needs with much better value for money and a visible support team.